The face that stared back wasn't mine! 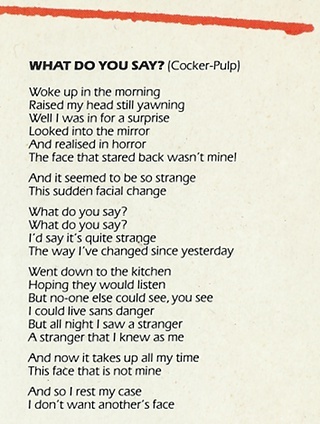 The first song by Pulp to be released. It came out on the Your Secret's Safe With Us LP in February 1982.